More sports clubs less crime! Do you remember when we had a crime free zone involving young people? Do you? I didn’t think so but I do! It was the time when the community was all into sports and getting active, not getting involved with gangs. If you ask me crime involving young people would go down and keep going down if there were more sports clubs in our community! This is our chance to make a change and get more people off the streets and into clubs. To be honest with you all I really thought that after the success of the Olympics over the summer the government would have started to add more sports clubs to communities all over the UK but I guess I was wrong. Young people want places to go and play sports. Romeo is a fifteen year old boy from South London who is currently in one of South London’s biggest gangs. This is what he said to me “If we the young people were given more sports clubs or chances to play different kinds of sports our community would be a lot safer and the “gang” problem would slowly but surely go away. In my opinion the reason why so many of our young people are in gangs and committing crimes is because young people do not have anywhere to go apart from on the streets. This problem I feel would stop if they had somewhere to go instead of hanging out in gangs on the streets. I think as a nation we have to get out there and help the younger generation to achieve greatness for our country because after all this nation’s sports heroes won’t be around forever and we need to help make some new heroes. Plus we would have a safer community and we could maybe even inspire a generation to stay out of the gangs and go play sports. To be honest I feel that this would help to give our young men and women a better chance of staying out of trouble and more importantly out of gangs. This will help give them a better chance of going to college and onto bigger and better things. A recent study shows that 89% of young people in our area say that there should be more sports clubs and 15% say that the sports clubs should be upgraded and quick. You can see that from the study that more people say that the sports clubs should be upgraded and even more sports clubs should become available to the public in our local community’s all over the UK. We don’t know it yet but the young people of our wonderful nation are the nation’s backbone and future without them we could end up being a laughing stock at major sporting tournaments not just at adult level but at school level too. Speaking to people young and old from all over the UK they all say the same thing MORE SPORTS CLUBS MEANS LESS CRIME. This seems to run counter to the views from a lot of members of government. They seem to think why waste much needed money on building more sports clubs when we could spend the money on much more important things like bombs? Besides who would go to the sports clubs anyway? It’s not like our nation is good at sports! They may not say it out loud but from their attitude it makes me believe that is what they think! What they really mean is that our wonderful nation isn’t worth investing in, so why help the next generation of sporting stars achieve greatness when they will just end up like the rest - not that great? 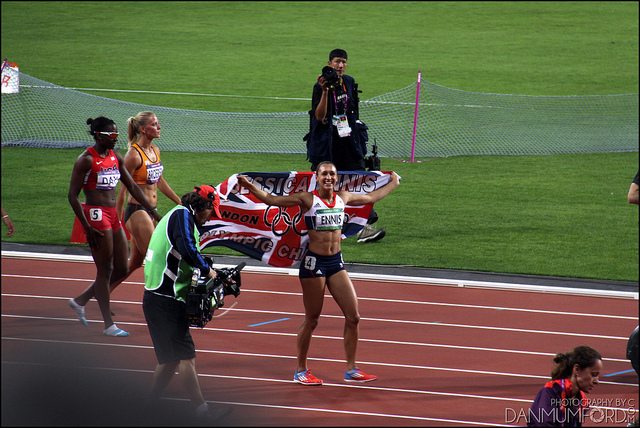 Where have they been all this time, the summer has been great for British sports! The Olympics were amazing and I feel that she doesn’t know what our young people want! One last note. The more sports clubs across the nation we have the better we will become at all the different sports that we know and love. I truly believe that we will get better as a nation and have better teams playing for our nation around the world.